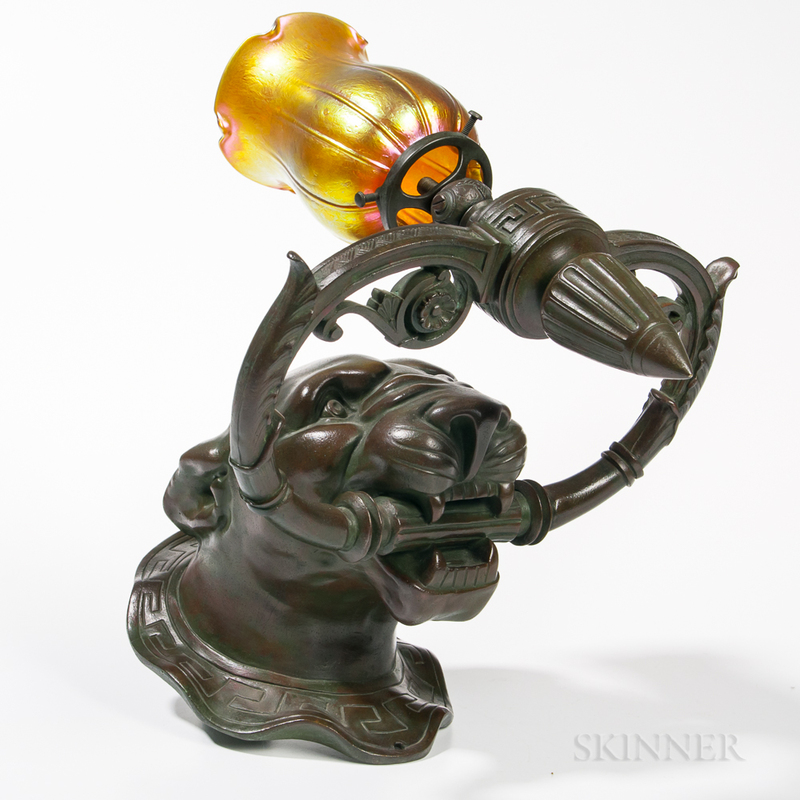 Bronze Lion's Head Sconce, late 19th/early 20th century, lioness holding a ring in her jaws with an illuminating gas fitting, unmarked, approx. ht. 9, lg. 12 1/2, wd. 11; together with a Lundberg Studios iridescent gold art glass shade, ht. 5 1/2 in.